Unknowingly last Sunday (June 19th, 2011) started FYM's week-long journey getting to know/listen/hang/learn from some of the finest musicians who call Nashville Tennessee their home. This is Part One in a series of articles to be released this week, documenting FYM's experiences with some incredible talents! 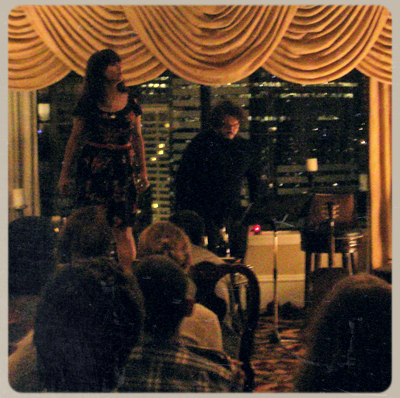 FYM had the pleasure of attending a very special performance in the Sorrento Hotel's Penthouse Suite Sunday evening in Seattle Washington USA. We were invited by Seattle rocker Chris Morrison (frontman of Pound Pound Pound) thanks to his sister Kim and her friendship with Mr. Bobby Bare Jr. For those of you not in the know, Bobby Bare Jr. is the son of Country Champion Bobby Bare (Tequila Sheila, Daddy What If, That's How I Got to Memphis). 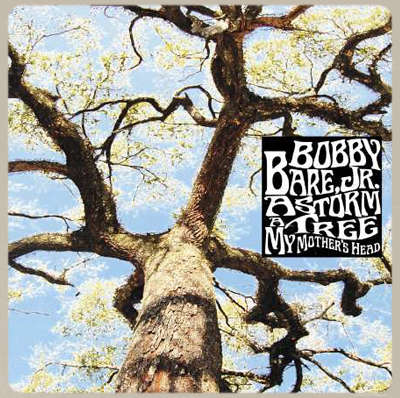 Bobby Bare Jr. has been a fixture in the Nashville music scene since the age of 6, when he was nominated for a Grammy for a duet with his father called Daddy What If- written by Shel Silverstein. Bobby has toured with many, including: Aerosmith, Bob Dylan, The Black Crowes, Dr. Dog, My Morning Jacket, The Decemberists, The Walkman, and countless other notable acts. His latest release A Storm-A Tree-My Mother's Head, is a well-balanced record offering- playful, gritty, heartbreaking, vivid storytelling tunes. Bobby has been taking a less is more route while touring- deciding to play intimate spaces (houses, hotel rooms, you name it) allowing only limited amount of tickets to be released for each venue. 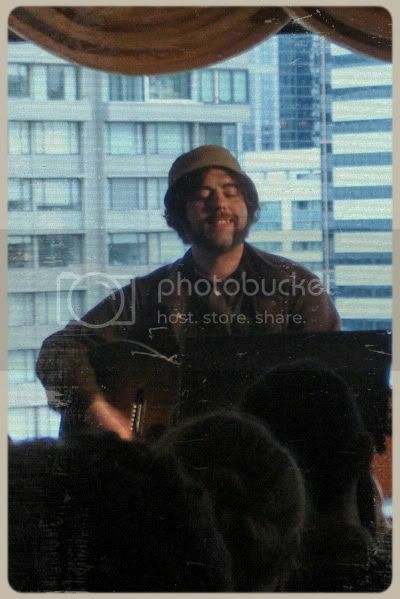 It's an important artistic statement for Bobby Bare Jr. to be doing this- to choose Quality over Quantity (as he could be playing much larger venues/events) allowing himself and his fans to return to the beauty of a singing around the campfire-like ideal (the roots of how music was once shared). (Our apologies to Jason Dodson of The Maldives as we missed his set.) 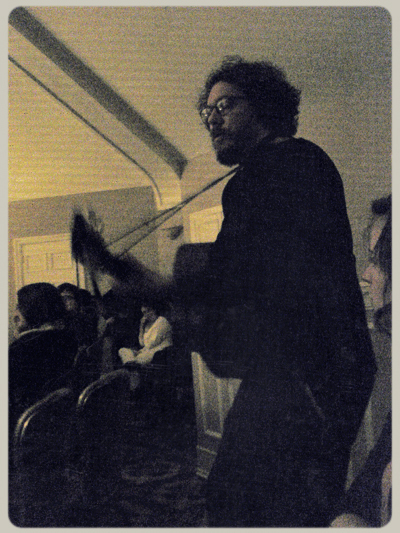 FYM came to the event just in time to catch a few choice acoustic cuts by way of The Moondoggies (Seattle Washington) frontman Kevin Murphy! The set was entirely done without the need for a microphone, and catered to the theme of the night THE OTHER SIDE OF NASHVILLE. We also had the delight of listening in on one of the most relaxed in-depth music interviews FYM has ever heard. 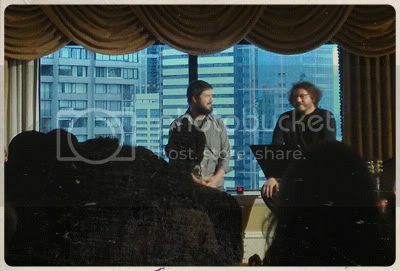 Bobby Bare Jr. called producer Tucker Martine (originally from Nashville) upfront for a lengthy chat on evolving as a music producer over the years, his roots in Nashville/connections to Seattle, and what it was like working with The Decemberists (on their #1 record) + producing My Morning Jacket's latest release. Carey Kotsionis and Bobby Bare Jr. took turns (and did a couple duets together) playing classic tunes throughout the night- covering Kristofferson, REM, Skeeter Davis, Dolly Parton, along with their own original material (with Bobby Bare Jr. favorites like Rock and Roll Halloween and Sad Smile). Carey Kotsionis, impressed us with her shimmering/sweet vocal prowess and a confident (on top of a table) boot stomping closer Magic Cowboy Boots. Along with a tremendous spine-chilling cover of Dolly Parton's Jolene (Click HERE to listen to her record). It was a one of a kind experience (in the warm-colored atmosphere of a vintage Penthouse), pure in spirit, a true return to the roots of what live music once meant. 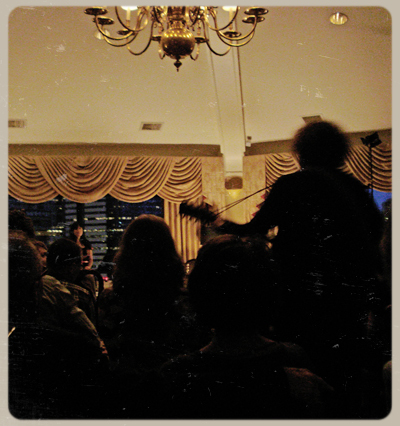 Less is more, and Bobby Bare Jr. is continuing this style of intimacy performing live at 'house parties' across the states. Check his website HERE for more details. 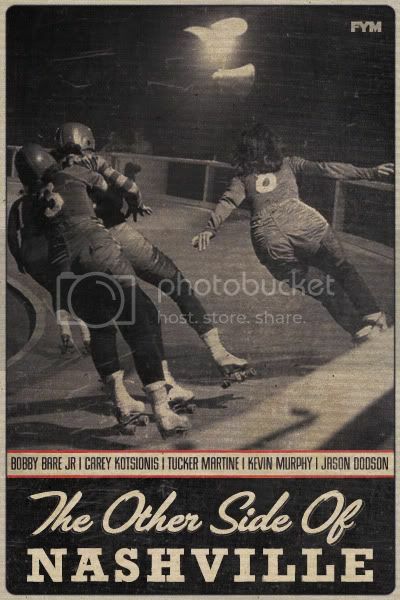 Little did we know a few days later our path's would cross again with Bare Jr. and Kotsionis due to our connections with another son of Nashville, RayLand Baxter (to be continued). Thoughts. Photos. Graphic. J Thomas Codling.